Register online here: Come join us for our 14th year of Track Guys events at Sebring! 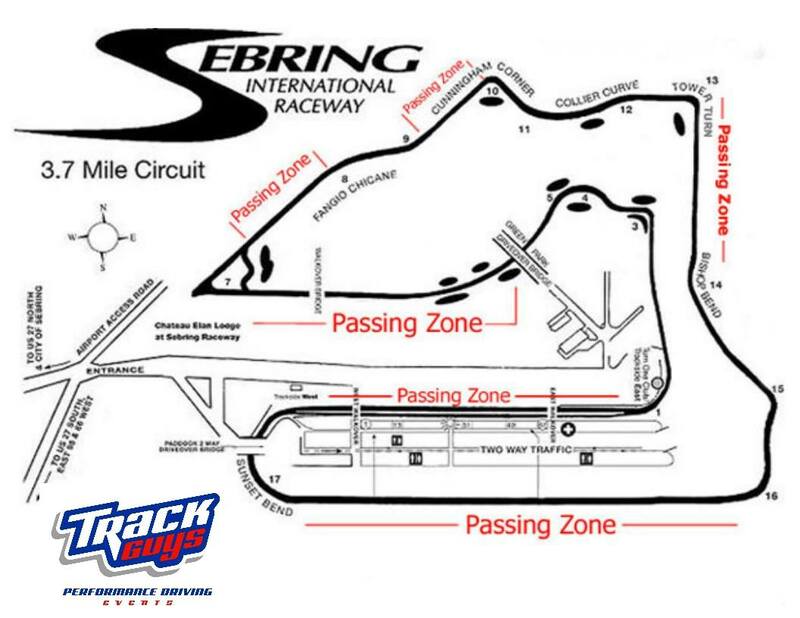 Come and enjoy your car on the world famous 3.7 mile “12 hour” Sebring International Raceway. Track Guys’ lead instructor, Jeff Lacina, along with his team of lap-happy instructors will be an integral part of getting everyone up to speed. Track Guys events are NOT wheel-to-wheel racing events. Track Guys events are performance driving education events where YOU learn at your own pace, with plenty of classroom sessions and seat time out on the track to help you “get it right.” You’ll even have the chance to go for some at-speed rides with our instructors. Track Guys events are open to drivers of all skill and experience levels. From pure first-timer to experience veteran, Track Guys programs provide a safe, fun and educational driving environment for everyone. Beginning and Novice level drivers get their own classroom sessions and in-car instructors, while Intermediate and Advanced drivers are in run groups with others of similar experience. “But guys, I’ve NEVER done this before!” Fear not, we all had to start somewhere and for 14 years, Track Guys has helped a large number of drivers “get their start” in performance driving, becoming a better, smoother and safer driver, both on the track and on the street and having a blast doing so. Don’t believe us? 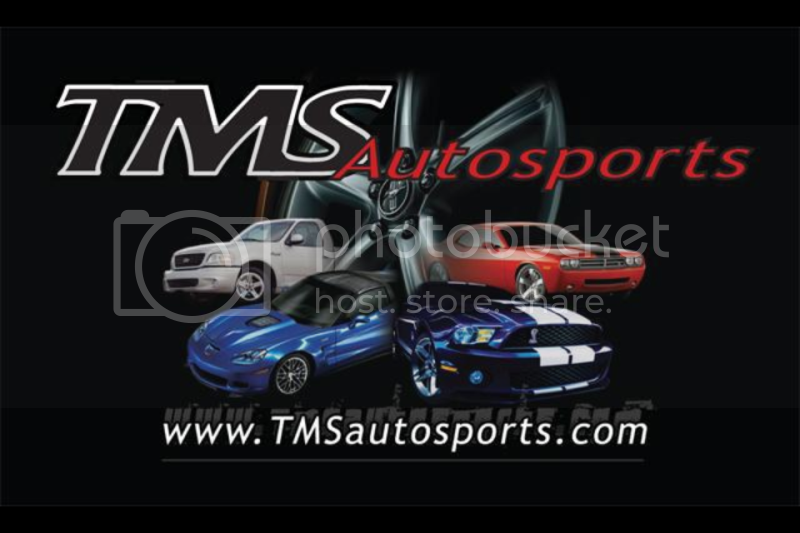 Check out what Muscle Mustangs & Fast Fords, GM High-Tech Performance and 5.0 Mustang & Super Ford magazines all had to say about our events. Don’t know if two full days of performance driving is for you? Then you might want to sign up for the Track Guys Test Drive. For $50.00 you can come and participate in the driver’s meeting, morning classroom sessions, the noon parade lap and then have your very own “Test Drive” session at-speed, on the track with your own in-car instructor helping you get around the track at-speed. The Track Guys Test Drive is ONLY available on Saturday. If you go through the Test Drive program and decide, “Hey, I can handle another day of this!”, then we’ll apply your $50 registration to the rest of the event – all you’ll have to do is pay the balance and you’re in for the rest of the weekend! The fun begins Friday night at the Meet-n-Greet. This is a great time to arrive at the track, get registered for the weekend, get your car through tech inspection and enjoy some soda and snacks with your fellow drivers and instructors through the evening. We will even conduct a special class/meeting that evening for those who are attending a performance driving school for the first time. Evening: Banquet, guest speakers and our famous Track Guys Sebring raffle drawings. This years banquet will be at the Gallery of Legends and Catered by the Chateau Elan. We are having Prime Rib, Herb Seasoned Chicken, Salads, AuGratin Potatoes, Country Style Green Beans, Rolls and Butter, along with desert. Join us for a good time. Starting at 6pm. If you have any questions or need additional information, please contact Dell Hughes at dell@trackguys.com or Jeff Lacina at jeff@trackguys.com. Visit TrackGuys.com to download the required Liability, Medical, Tech Inspection form as well as the “rules and regulations” for our events. This entry was posted in Track Guys Events and tagged Sebring International Raceway, Steeda Hot Lap Challenge, Track Guys Test Drive. Bookmark the permalink.